Brisbane, the capital of Queensland in Australia, is a large city on the Brisbane River. It can boast of colorful history, activities for families, vibrant nightlife, interactive exhibitions, and cultural experiences that are well worth a visit. 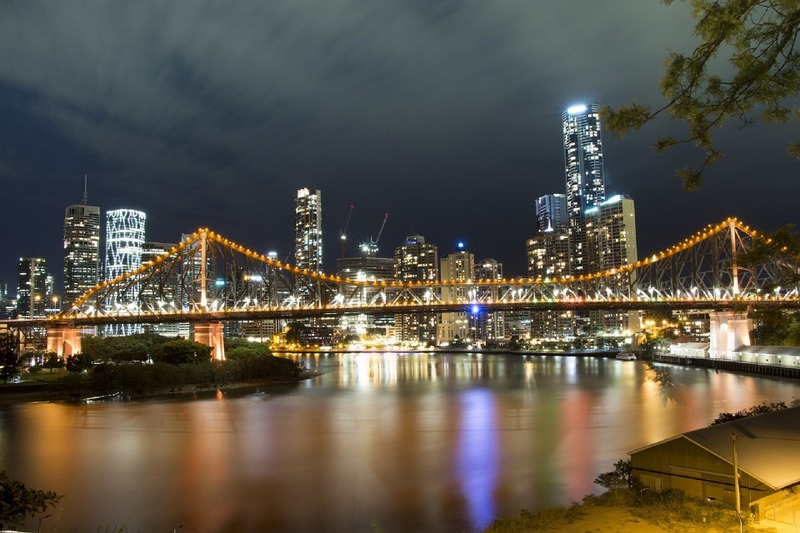 It’s home to nearly two million people and a hot vacation spot for many more millions of tourists each year, partly because Brisbane is one of the most culturally diverse and entertaining cities on the continent. This exciting metropolis is almost always sunny and has incredible natural beauty surrounding it, so every day is like paradise, no matter what the season is. When you visit, make sure you include some of these seven activities in your planner. Brisbane is home to some of the best restaurants in the country. Australian cuisine is highly diverse, thanks to the influence of globalization, but meat — particularly barbecue, fish, and bush foods — is the most distinctive item on the menu. Because of the diversity of cultures, plenty of other cuisines are available to delight your palate as well. Try Esquire, one of the finest restaurants that overlooks the iconic Story Bridge and the river. Also check out Gerard’s Bistro, Public, Aria, and Stokehouse Q. If you’re looking for some incredible Italian and pizza, try The Royal. If you want a true experience of the city, you’ll get it on the river. You can rent a kayak or canoe and give yourself a tour that takes in the sights and natural beauty of the river scene. If you crave a truly incredible experience, get an illuminated kayak and go paddling on a weekend evening, to experience the city’s nightlife scenery. GoMa is Australia’s largest gallery of contemporary art, and it’s located right in Brisbane. After perusing the constantly changing art that’s on display, grab a nightcap with friends at the stylish bar inside. The iconic Queensland Art Gallery is also worth a visit. Both galleries are gorgeous inside and out, and you’ll be treated to contemporary art by both local and international artists. Also, a huge portion of each gallery is devoted specifically to indigenous artwork, so you can get a solid sense of every facet of original Aussie culture. This features more than two hours of all the products that come from the cacao bean. You’ll be guided by expert chocolatiers into eight different chocolate stores, where you can taste test aplenty and enjoy the beautiful chocolate artwork produced by each master craftsman. It’s the perfect tour if you’re looking for sweet treats to take back to your friends and family at home. Brisbane’s collective markets are bustling with activity. You’ll have your pick of fine shopping experiences as well as the offerings of many local vendors. The streets are often lined with people selling artisan crafts, handmade jewelry, artwork, clothing, photographs, and more. Listen to live music as you wander the streets and enjoy this incredible multi-cultural experience. One of the most iconic landmarks in Brisbane is the Story Bridge, an architectural beauty loaded with heritage and a platform for unbelievable scenery. As you climb, you’ll enjoy a brand-new perspective of the city’s skyline, water, and the Glasshouse Mountains. As you move down the bridge, you’ll see the Gold Coast Hinterland. There’s also a 98-foot abseil you can tackle on the way back down, if you’re up for an adrenaline rush. If you prefer to walk, the climb isn’t difficult up or down, but you should wear good walking shoes and have your camera ready! Although Brisbane is a bustling metropolis, you can secure a little relaxation on the beach in the heart of the city. It’s a man-made beach, but you’ll still be surrounded by white sand, tropical plants, and sparkling blue water. Work on your tan, go for a swim, or just lie under an umbrella on the sand. If you’re traveling with kids, head over to Aquativity, a water play park designed for young families. Whether you love shopping, fine dining, luxury accommodations, culture, or total relaxation, Brisbane, Australia should be high on your list of must-visit destinations. Explore its many options, and book your trip today!